There are proven secrets for second marriage success. Research has uncovered them. The USA is the country with both the overall highest rate of divorce. But also the highest rate of second marriages. 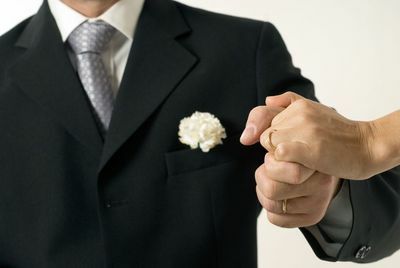 Identifying the factors which promote second marriage success are particularly crucial because overwhelmingly, people who enter a second marriage are not widows or widowers. Their first marriage ended in divorce. A recent study from 5 years ago tells us that 40% of us enter a second marriage. Half of all second marriages have one previously married spouse while the other half have both spouses who were already married. We also know from research that there are gender differences in second marriages. Almost 64% of divorced men remarry, as opposed to 54% of previously married women. There has been an interesting cultural change over the last 50 years. 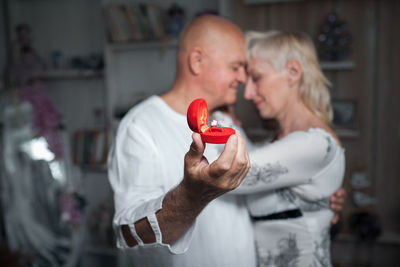 Older adults are more likely to remarry than their age cohort of half a century ago. It’s likely that longer life expectancies are the reason that men, in particular, are more likely to seek a companion as they navigate their retirement years. We know from “Gray Divorce” research that divorced women are more comfortable living alone and independently, which might account for their 10% lower incidence of entering a second marriage. Self-sufficiency and independence are also important factors in the decision to remarry. Gender roles become even more blurred among older Americans. Men have become more able to manage their household affairs, and women are now more financially savvy and independent than previous generations. Americans are optimistic about marriage. They are more willing to give it another try than any other country on the planet, despite the 60% failure rate of second marriages. Research tells us something very interesting about second marriages. When we experience second marriage success, we enjoy a feeling of deep satisfaction and joy. Researchers tell us often this deep sense of satisfaction often eclipses the marital satisfaction of first marriages. Here are 11 secrets for second marriage success uncovered by research. This is by far the most important secret for second marriage success. Think hard about your first marriage, and the resulting divorce. What could you have done better? Where are your vulnerabilities or blind-spots? Mistakes are the only things we can really call our own. What mistakes did you make the first time around? How will you apply what you’ve learned about yourself to be different this time? Research tells us that the toxic impact of your former spouse can poison the well of your second marriage. The anger and resentment of your first marriage can easily seep into your second if you fail to be vigilant. Your second marriage is a distinctly separate relationship than your failed first… and should never be compared or contrasted with it in any way. I know what your thinking. Premarital counseling is for kids just starting out. Wrong. Have a healthy appreciation for the failure rate of second marriages and anticipate complexity and conflict. Sun Tzu once said, “every battle is won before it is fought.” Increase your odds of second marriage success by as much as 30%. Get pre-marital counseling early and clarity will follow. What do you and your partner do well, and where do you struggle? Where are you both on the same page and what do you see differently. And how significant are these differences? Do you have skill in dialogue, or do you fall into emotional gridlock and drop the subject? Second marriage success comes from careful and consistent communication. Issues of connectedness, respect, and trust must be carefully attended to from the start. A reasonable assessment of your collective strengths are vulnerabilities will encourage you to have each other’s back as you deal with kids and ex-partners. One-third of all American families are blended. Blended families are a particularly well-researched topic in science-based couples therapy for two essential reasons. First, the complexity of blending families is a known marital stressor. There is more divorce in blended family second marriages. And even more alarming, these divorces occur faster than in first marriages. There are many blended families in second marriages that are successful and deeply satisfying. These are families that value patience, respect, flexibility and a sense of humor. Don’t expect everyone to fall into line at first reveillee. Second marriages which create blended families will face many dilemmas and challenges. Conflicting loyalties, rivalries, and turmoil are commonplace. Anticipate possible areas of conflict and discuss them in advance like disaster-planning scenarios. Where kids are concerned, operate with open-handed good faith. Assume the best from everyone, but plan for their worst selves to visit from time to time. Don’t become a kid-centric household. Train your kids well. Have regular date nights. Model for them what a loving, united front looks like. Show courtesy and respect, and expect the same from every member of your household. They will draw on your example when they build their own intentional families one day. Dr. Gottman’s research on thousands of couples tells us that conflict is inevitable. A full 69% of marital problems can only be managed; they can never be permanently eliminated. Manage conflict with courtesy, patience, and respect. It’s bad enough that most unhappy spouses in first marriages would rather suffer than seek help. But research tells us that second marriages are even less likely to enter couples therapy. Research is, however, clear on this. Second marriages respond quite well to science-based couples therapy. In order for couples therapy to be effective, both spouses must be honest with themselves and each other and completely invested in the process. Get help early at the first sign of trouble. Because You Want To Get It Right This Time.